If you have begun to recognise the signs of dementia in a loved one, you probably don’t know where to turn, but there is countless information available to support you both. Here are the most common signs and symptoms of dementia, and some clear, actionable steps to help you and your loved one navigate the difficult journey of a dementia diagnosis. There are ten recognised signs of Alzheimer’s dementia that seem vague, but when a few are combined, they create a clear picture of cognitive change. A person with dementia forgets things and usually doesn’t remember them. This is different to forgetting an appointment or phone number, then remembering them later. A person with dementia may have trouble with all the steps involved in preparing a meal. This is different to forgetting to serve part of a meal or getting distracted, which are normal. A person with dementia may have difficulty finding their way to a place they often visit. They may also feel confused and disoriented, even when in a familiar place. A person with dementia may forget simple words, and substitute inappropriate words in their place, creating confusing sentences. This is different to momentarily forgetting the right word in a sentence, which is normal. A person with dementia may struggle to understand what the numbers on a receipt mean. This is different to struggling with the maths involved in balancing a cheque book or calculating change. A person with dementia may find it difficult to make decisions, even in everyday situations such as choosing what to wear in cold weather. A person with dementia may put things in inappropriate places. This is different to someone momentarily misplacing their wallet or keys. Someone with dementia can become confused, paranoid or withdrawn for no apparent reason, as well as exhibit sudden mood swings. This is very different to the normal moodiness everyone experiences from time to time. Dementia may cause people to lose interest in activities and past times they previously enjoyed. A person with dementia may find driving a car very difficult, as they have difficulty judging distance or direction. 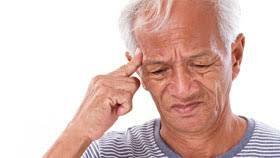 As the above signs of dementia are vague, it can be easily mistaken for other illnesses. Stroke, depression, long-term alcoholism, infection, hormonal disorders, nutrition deficiencies and brain tumours can all cause similar signs and symptoms. This is why it’s imperative to see a doctor if you suspect your loved on has dementia. Seeing a doctor as early as possible is very important for a person with dementia. Convincing your loved one to visit the doctor can be tricky though, so try suggesting you both get a routine check-up or physical examination. With a calm, caring attitude, your loved one is more likely to agree to head to the doctor’s office. A doctor is the only one who can diagnose dementia, and they may use a number diagnostic testing to rule out other illnesses. These tests can include everything from brain imaging to cognitive and lab testing. There are a number of different types of dementia, and understanding which one is relevant to your loved one is important. Alzheimer’s dementia is the most common form of dementia in people under 65. The ten signs and symptoms above are most relevant to Alzheimer’s. However, there are other types of dementia including vascular dementia, fronto-temporal dementia and Lewy body dementia which each have a unique set of symptoms that can differ, and add to those found in Alzheimer’s. In Australia, there are countless resources designed to help families dealing with a dementia diagnosis plan for the future. From ACAS (Aged Care Assessment Service) to the Cognitive Dementia and Memory Service (CDAMS), these services offer support from professionals specialising in dementia care. Enlisting their support can make this difficult time easier for both you, and your loved one. If you’re absolutely overwhelmed with a diagnosis of dementia in your loved one, talk to a support person at the National Dementia Helpline at Dementia Australia. It’s a caring, helpful and nurturing support service that will enable you to move forward with future planning. Recognising the signs and symptoms of dementia in a your loved one can be very distressing for you, and even more so for your beloved parent or family member. Remembering to be caring, patient and kind can help the difficult transition from recognising symptoms to future planning easier and less stressful for everyone involved.